We've talked plenty about the flaws inherent in Apple Maps, and where it differs from Google Maps on paper. But how wide is the disparity between the two in actuality? We stacked two iPhone 4Ses side-by-side (one running iOS 5, one running iOS 6, both on wi-fi with GPS on), and let the two mapping apps do battle. The result? Apple has a lot of work to do if it wants to catch up with Google. Overall, both apps seem to find U.S. locales without much of an issue, but the Google Maps app is faster at fetching locations, and has a more efficient UI design for calling upon directions. Apple's turn-by-turn navigation system seems to kick into action quicker than Google's static driving directions do. Routing directions vary on minor levels, but both seems to get you to the same locations in roughly the same time and distance. When calling upon public transit, Apple Maps has to use third-party apps, which will take you out of the app completely (adding time and inconvenience), while Google Maps quickly plots the most efficient route. Then there's the case of international locations. Apple Maps does not handle them well at all. Simply type in Heathrow, and you get some random location in the US. Google Maps knows you mean the airport. Ask for the legendary-but-now-defunct Spanish restaurant El Bulli and its the same result for Apple Maps. Google Maps, on the other hand, gives you the location and a quick note that its permanently closed. 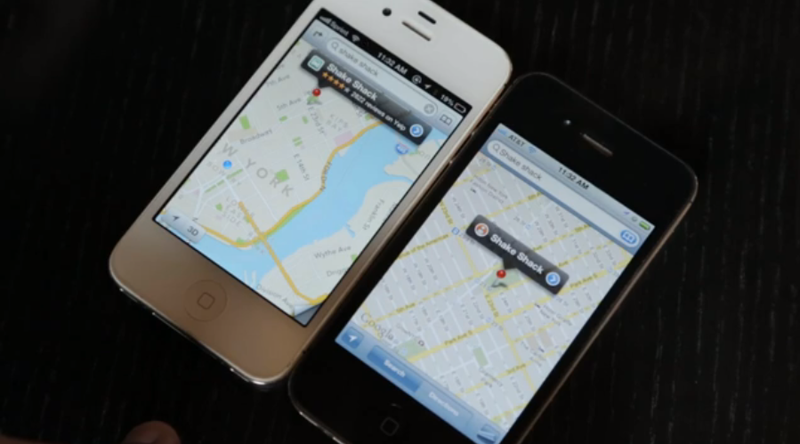 Google Maps can't arrive on iOS soon enough.